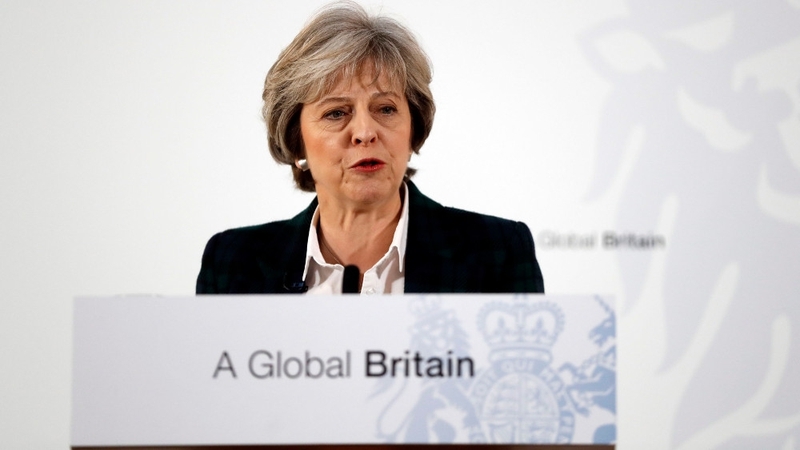 The Prime Minister, Theresa May, yesterday delivered what was probably the most important speech on Brexit since the referendum. In her speech Theresa May set out what the British government wants to get out of Brexit. For a Remain supporter it wasn’t bad but there were some worrying things to come out of it. Keeping the Common Travel Area between the Republic of Ireland and the UK, Channel Islands and Isle of Man is a priority. This is an important part of the Good Friday Agreement. We want a free trade agreement with the EU but we are not prepared to stay in the single market. Payments into the EU budget will stop when we leave. We want to retain parts of the EU customs union but not the parts that stop us making our own comprehensive trade agreements. Our police, military and security services will continue to work with EU partners to ensure security across Europe. MPs and Peers will be given a vote on the final deal after negotiations are finished. This isn’t necessarily a bad thing in itself but when asked what would happen if they rejected it, the Prime Minister was her usual vague self and avoided answering the question. Ministers for the Scottish, Welsh and Northern Irish (when they get one again) governments will be given a seat at the Brexit negotiating table. All EU law – fast approaching a million pages of rules and regulations – will be adopted as domestic legislation before we leave. If Theresa May gets her way we won’t leave the EU after the two years of negotiations have finished, we will slowly disengage over an unspecified period of time and still making contributions to the EU budget. This could last for years and there is a risk that we will end up with Brexit-lite through the back door as politicians and civil servants settle back into their old ways of giving away our sovereignty. One interesting comment from Theresa May was on the rights of EU citizens living in the UK and vice versa. The Remain supporting media keep banging on about EU immigrants being “used as bargaining chips” but the Prime Minister revealed that the UK government was ready to guarantee their rights now but a handful of member states were blocking it! Theresa May is quite open about her intention to keep us in the EU and paying into the EU budget for years to come. This is why UKIP is as relevant as ever – we got the referendum result that we have worked hard for all these years and now we have to make sure the government honour it. For more Brexit news why not sign up to our supporters list? Figures release by Shropshire Chamber of Commerce show a boost to local businesses as a result of the EU referendum. The long-overdue devaluation of the pound has provided a welcome boost to exports all over the country, including here in Shropshire where businesses using the Chamber’s export documentation service booked £39m worth of exports between April and November this year. The weaker pound has encouraged businesses in the county to take a more globalist view with new business relationships being formed between the county and the wider world. Nationally, exports rose by £2.1bn to £26.8bn in October – an increase of 8% on the previous month. In the run-up to June’s EU referendum Remainers predicted a global economic apocalypse, an exodus of businesses and world war 3 if we voted to leave the EU. What we’ve seen is a useful devaluation of the pound in what the former Governor of the Bank of England, Lord King, described as a “welcome change” driving up exports and creating tens of thousands of new jobs. We’ve seen major international companies investing billions and creating thousands of new jobs, many have which have come to Telford and the wider West Midlands. And as for world war 3 – that started 15 years ago with the 9/11 attack on the twin towers and the US-led crusade in the Middle East! Theresa May hasn’t even started Brexit negotiations yet and we’re already seeing the benefits all over the country. The Future Fit board have voted to recommend the A&E and Women & Children’s Centre in Telford are closed and relocated to Shrewsbury as they always intended to do. Telford has always played second fiddle to Shrewsbury where anything county-wide is concerned and the Princess Royal Hospital has always been a mere satellite of the Royal Shrewsbury Hospital. Key services have been jealously guarded at the RSH despite Telford providing the bulk of their “customers” and there being more room for expansion at the PRH. The decision to close one A&E is fundamentally flawed, regardless of which site they choose to lose services. Shropshire is the most rural county in England and the RSH and PRH between them cover most of the county as well as large parts of Wales. The decision to close the A&E and Women & Children’s Centre at Telford is even more unbelievable given that Telford is the largest and fastest growing town in the county and that the £28m Women & Children’s Centre has only been open two years. It is a criminal waste of money and an entirely negligent decision that will cost lives. UKIP policy is to put control of local NHS services in the hands of elected county health boards. Under this policy the people who have made this decision could be held to account by voters but sadly too many people voted for more of the same so that’s what we’re stuck with. We will continue to make the case for keeping A&E services at both hospitals and to keep the Women & Children’s Centre open at the PRH. You can show your opposition to the plans by signing the petition to protect the A&E and Women & Children’s Centre at Telford’s Princess Royal Hospital. The consultation will start in January and last for 12 weeks to maintain the pretence of listening to the views of the public. The English Defence League (EDL) are planning a protest march in Wellington on November 5th. The EDL held a protest in Wellington in 2011 which passed without any real trouble. Shops were boarded up, a football match was cancelled and police were drafted in from round the country. The two sides were kept apart and apart from a drunk getting moved on from the train station and another abusing a police officer there was very little for the police to do. If you look past the headlines and get the facts (they’re not published so you have to ask) both sides are equally responsible for violence and disorder at EDL marches. When EDL protesters and far left protesters are kept apart there is rarely trouble but when they’re allowed to get close to each other it’s mayhem. We will not be taking sides over the EDL march. As far as we are concerned the EDL aren’t welcome in Telford but they have a right to peaceful protest. Equally, the far left are not welcome in Telford but they too have a right to peaceful protest. If they insist on protesting on the same day we can only hope that the police are successful in keeping the two sides separated and keep the peace so that both groups can make their point, jump back on their coaches and go home without anyone getting hurt or anything getting broken. It has been suggested by the council that the march should be diverted to Telford Town Park rather than disrupt Wellington. Moving the march to the town park risks exposing children to inappropriate language and potentially violent conduct. It would be grossly irresponsible to send the EDL to the town park and it’s quite unbelievable that the Cabinet Member for Children & Young People who is promoting the idea. A woman has attempted to abduct a school pupil outside Hadley Learning Community this week according to police reports. There is no description of the woman but she was reportedly driving a grey or silver car and tried to convince a child to get in with her on Monday. This follows an attempted abduction outside Windmill School in Brookside last week where an Asian man in a green van offered a child money to get into his van. On both occasions the children in question have refused to get into the vehicle and have gone for help but not all children are this sensible. Please speak to any children you have responsibility for and make sure that they understand the danger and what to do if they find themselves in a similar situation. If you have any information that might help you can contact Crimestoppers on 0800555111 quoting reference 485s of October 10th. There is some useful information on how to educate children on stranger danger on the Netmums website. After nearly 2 years of asking, Telford & Wrekin Council have finally replaced the worn out crash barriers around the underpass on Stirchley Road. The wooden posts holding up the crash barriers had rotted over the years, causing the crash barriers to fall over and bend. UKIP councillors Stuart Parr and Lynda Hogger reported the issue with the barriers to Telford & Wrekin, funding was allocated in this year’s budget for their replacement and the work was completed this month. NHS campaigners are claiming to have seen evidence that both the A&E service and the £28m women’s centre at the Princess Royal Hospital are to be closed and relocated to the Royal Shrewsbury Hospital. If the claims are true this is an absolutely unacceptable outcome from the Future Fit review of Shropshire’s NHS services. We have been very clear from the outset that Shropshire needs full A&E services at both hospitals. Shropshire is a large, rural county with poor transport links and the additional traveling time to either hospital from the extremes of the catchment area can be a matter of life or death. It makes no sense to remove A&E services from Telford where the bulk of the demand is and centralise them in Shrewsbury when Telford & Wrekin makes up around half the population of Shropshire and has better transport links. It makes no sense to reduce A&E services to a single site anyway but even less so if that single site is Shrewsbury. Jeremy Corbyn has been re-elected as leader of the Labour Party, ensuring their continued decline into electoral oblivion. 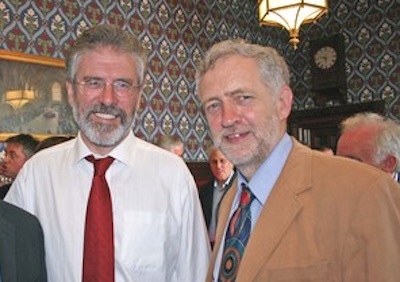 Red Jez has long-standing associations with Irish republican terrorists and used to describe convicted IRA terrorists as prisoners of war. He wants to abolish the royal family, joined the Remain campaign despite being a lifelong eurosceptic to keep his union paymasters happy, calls Hamas and Hezbolah his friends and recently called for a ban on drinks after work because it discriminates against women with children. The only party standing up for ordinary people is UKIP. Join us for just £10 and become a member of the people’s army. UKIP has secured another council seat in Telford and Wrekin, after Peter Roberts was elected to Hollinswood and Randlay parish council. Mr Roberts, who lives and works in Telford, made national headlines back in 2007 when more than one million people signed his online petition against plans to introduce road charging in the UK. The petition became the most popular ever lodged on the Downing Street website. Councillor Roberts, who was elected unopposed, said: “I look forward to representing the good people of Hollinswood and Randlay on the parish council. His election has been welcomed by Shropshire’s UKIP MEP Jill Seymour, who said: “Peter has a vast amount of experience in the commercial world and is exactly the type of person we need in local politics.